BEAUTIFUL FLOOR PLAN FRESH PAINT, NEW CARPET, NEW MASTER UPDATED SHOWER. BONUS ROOM OFF MASTER BATH CAN BE A NURSERY OR EXERCISE ROOM OR STUDY. YOU WILL LOVE THE GIGANTIC KITCHEN OVERLOOKING THE FAMILY ROOM WITH FIREPLACE, BEAUTIFUL 20 INCH TILE ON LOWER LEVEL, LARGE GAME ROOM UPSTAIRS HAS BUILT IN DESK AND THREE LARGE BEDROOMS PLUS TWO LARGE BATHS! THIS IS A GREAT FAMILY HOME!! 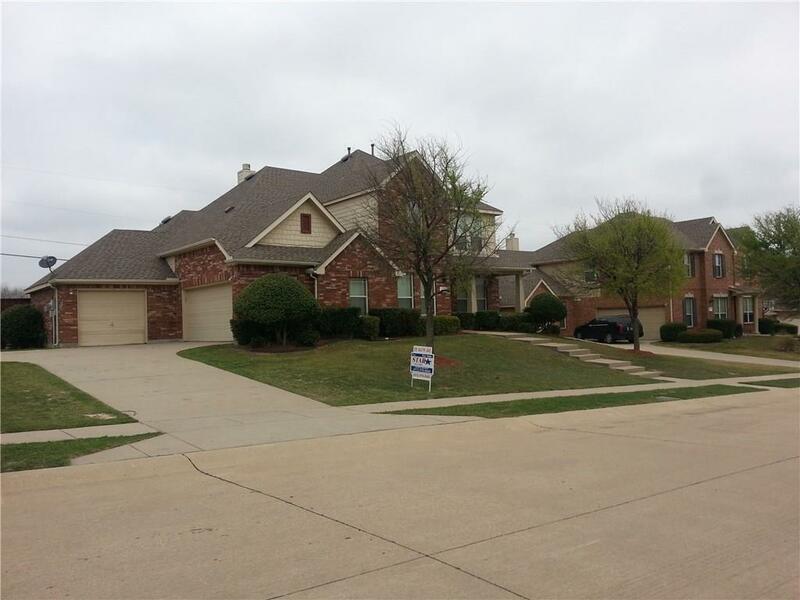 DONT MISS YOUR CHANCE TO LIVE IN ONE OF VERY BEST AREAS IN ALL OF PROSPER! Offered by Patricia Bentley of Star Realtors.